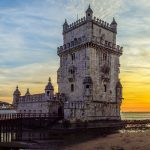 10 best things to do in Lisbon! Lisbon, the Portuguese capital, is a dynamic city, open to the world. 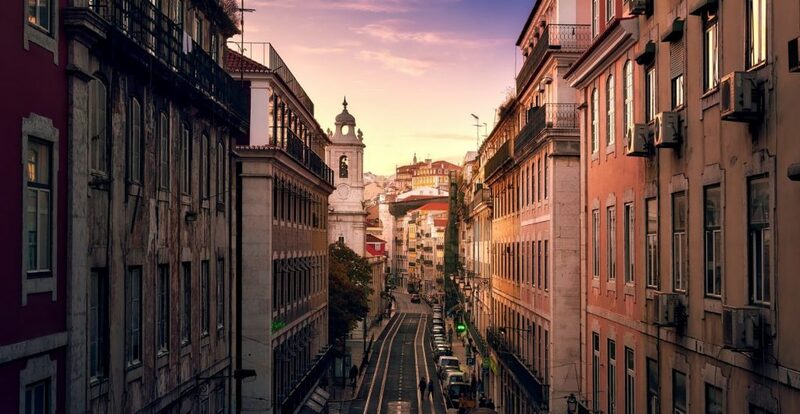 Increasingly praised by the youth generation and retirees, Lisbon is the wealthiest city in Portugal, with a higher GDP than the European average. 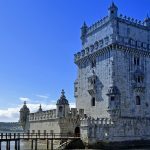 Lisboa, it’s Portuguese name, possesses beautiful landscapes, lots of cobbled streets and numerous activities for solo travellers or families. Visiting Lisboa is an unforgettable experience! 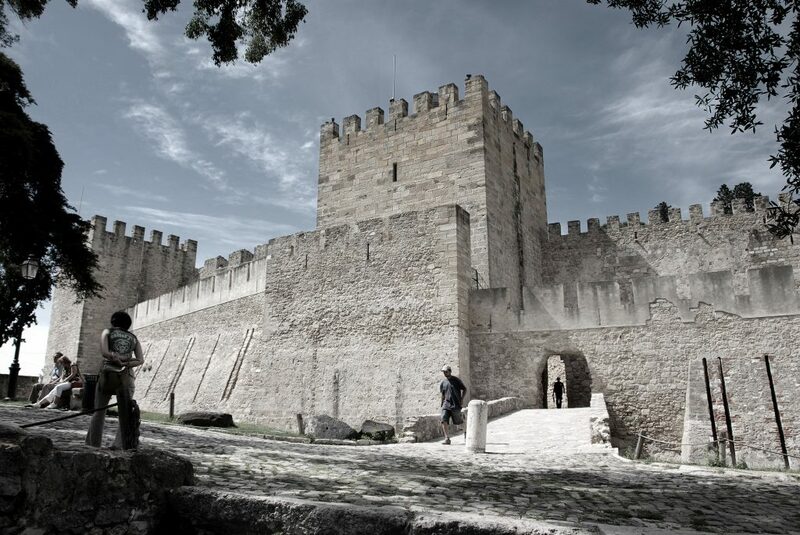 Built in the 4th century by the Visigoths, Castelo de São Jorge is located in the parish of Castelo. 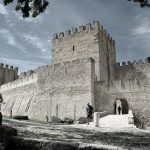 Initially, the castle was named “The Moorish Castle” (Castelo dos Mouros). The castle suffered many times from earthquakes. It was also a scene of historical events. Since June 16, 1979, the São Jorge Castle has been classified as an Historical Monument. In order to reach Castelo de São Jorge from the Baixa district, you can get on the Elevador do Castelo. The fortress overlooks Lisbon and will offer you a beautiful view on its landscapes. Ticket cost to visit the castle is 7,5€ and 4€ for students. 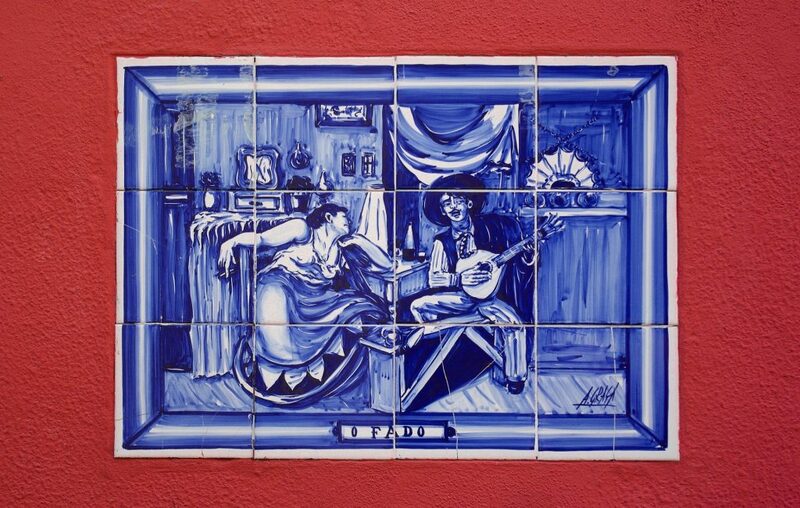 The National Azulejo Museum is an atypical monument due to its very large ceramic tiles collection that invites the visitor to appreciate the evolution of ceramics over the time. This collection contains more than 7,000 pieces. Among them, tiles from the Arabic world, North Africa or the famous Delft tiles from Flanders. 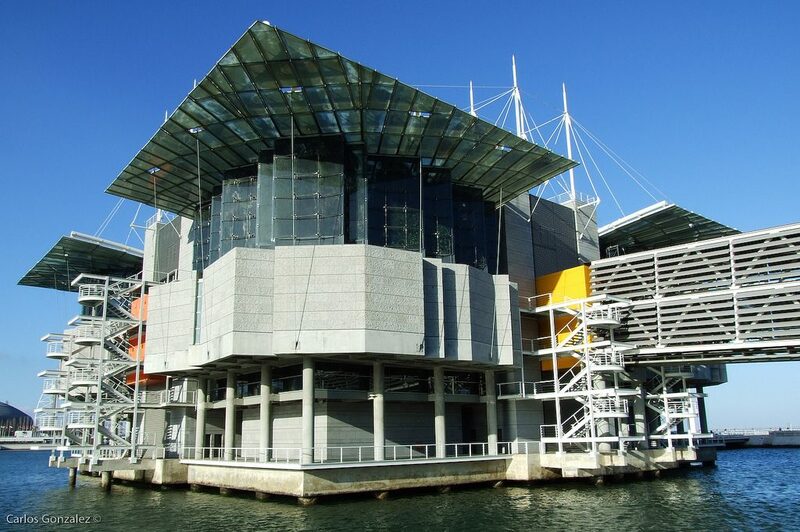 This museum is an artistic testimony of the Portuguese decorative arts. 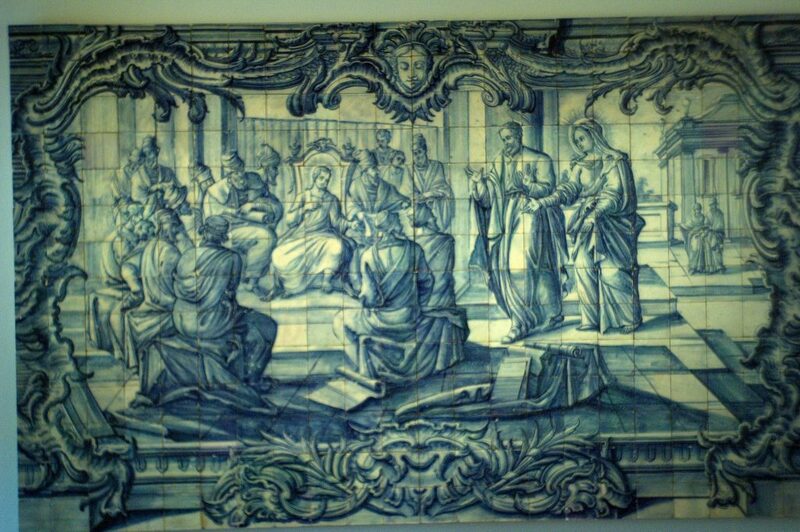 Founded in 1509 by Eleanor of Viseu, the Queen consort of Portugal (1458-1525), the Museu Nacional do Azulejo is located in the former convent Madre de Deus. Opened to the public since 1960, the National Azulejo Museum is classified as a National Museum since 1980. The visits are organised from Tuesday to Sunday, from 10am to 6pm. Ticket cost is 5€, or 2,50€ for retirees, students and children under 12 years old. 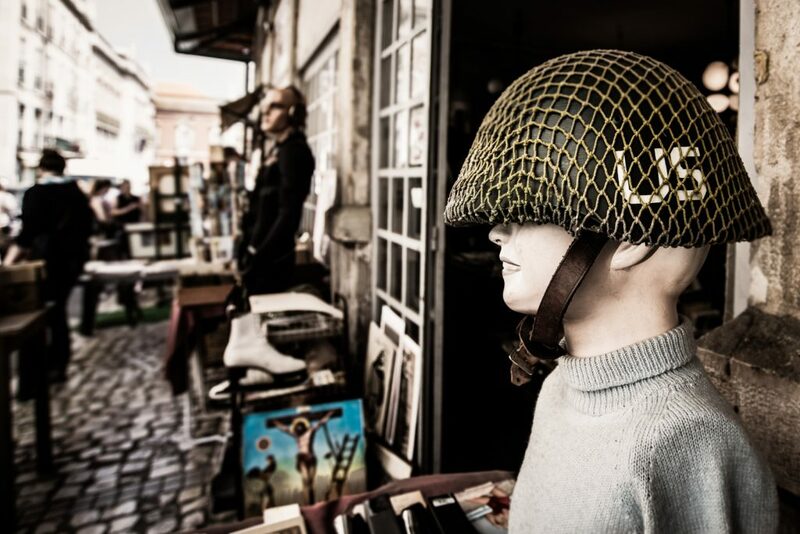 The Feira de Ladra is the Lisbon’s flea market and means “The Thief Market!”. Once there, the tone is set immediately and the atmosphere is very relaxed. 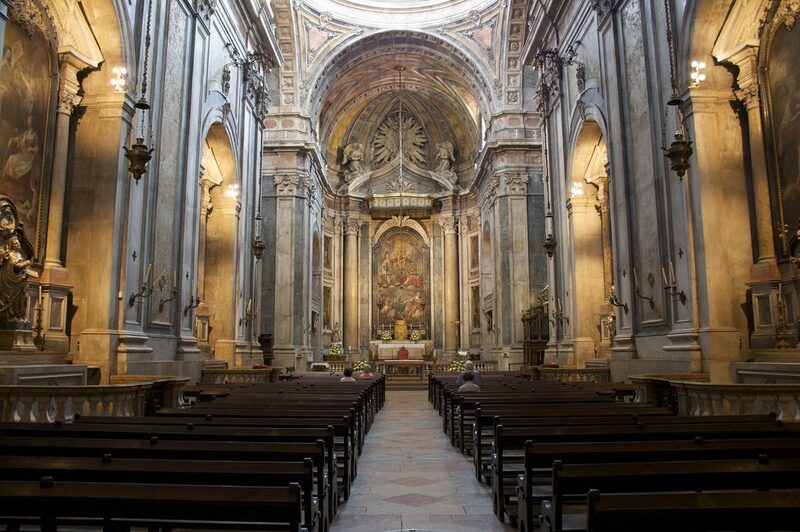 Located between the beautiful Panteão Nacional and the imposing church of São Vicente, the Feira de Ladra welcomes twice a week, tourists, collectors and Lisbon’s inhabitants. 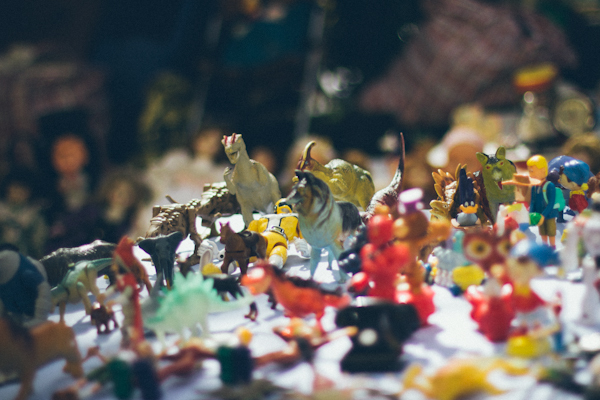 This joyful bric-a-brac offers second-hand clothes, trinkets, toys, old and atypical items, old books, coins… This flea market takes root in the Middle Ages, when people were reselling what they had stolen, that’s the reason of the actual name of the market. The Feira de Ladra market takes place every Tuesday and Saturday, between 9am and 6pm. 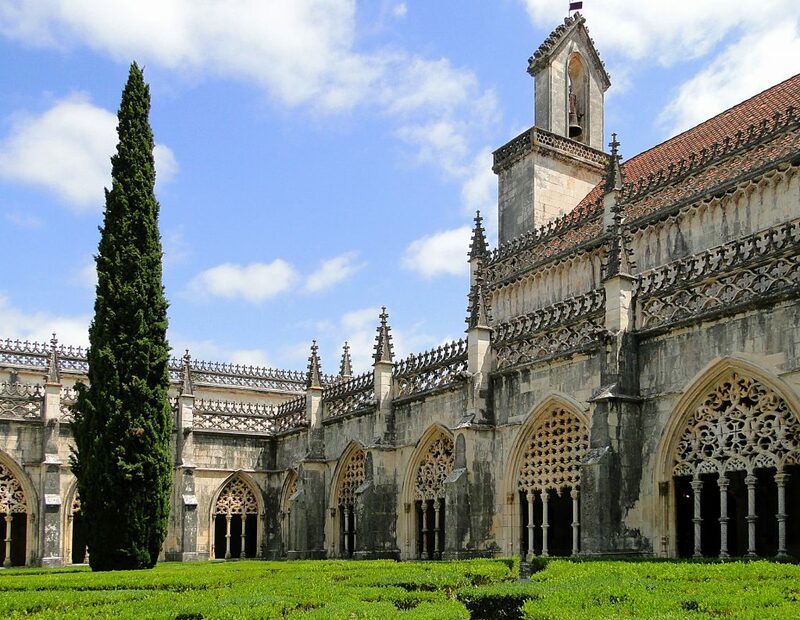 Located in the Belém district, the Hieronymites Monastery was built in 1502 by Manuel I, king of Portugal, to celebrate the return of Vasgo da Gama from India. He decided to build a monastery for the religious community of Hieronymites. If the Hieronymites Monastery wasn’t damaged by the earthquake in 1755 that ravaged the city of Lisbon, it will be damaged by the British army of Wellington at the beginning of the 19th century. In 1907, the Hieronymites Monastery is classified as Historical Museum. Moreover, since 1983, the Monastery is inscribed on UNESCO’s World Heritage List. 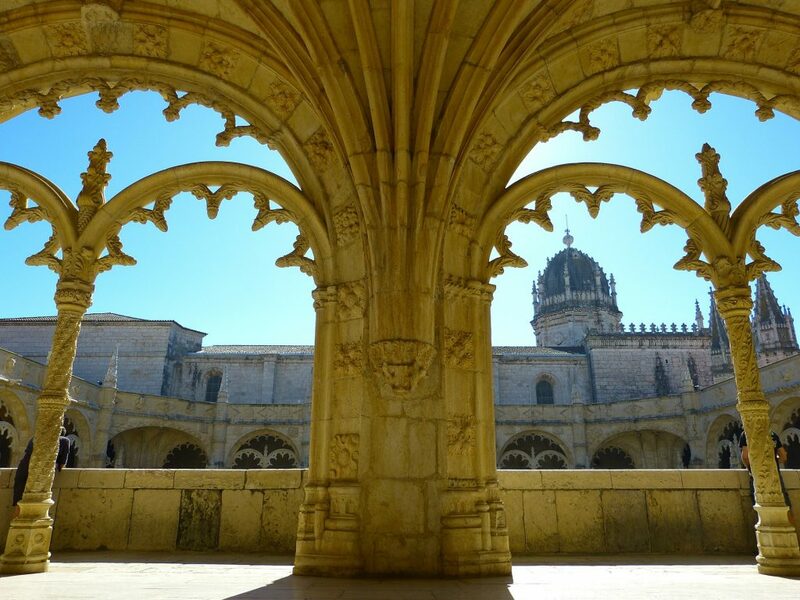 The Monastery is currently considered as “the monument that has the most of architectural elements of Manueline style”. The Hieronymites Monastery is open from April to October, from 10am to 5.30pm (except on Monday) and until 6.30pm from May to September. 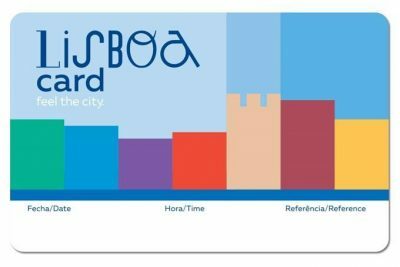 The entrance cost is 10€, but is free for holders of the “Lisboa Card”. 15,000 individuals and plants, high-seas species and rare species are kept in 5 millions of seawater. 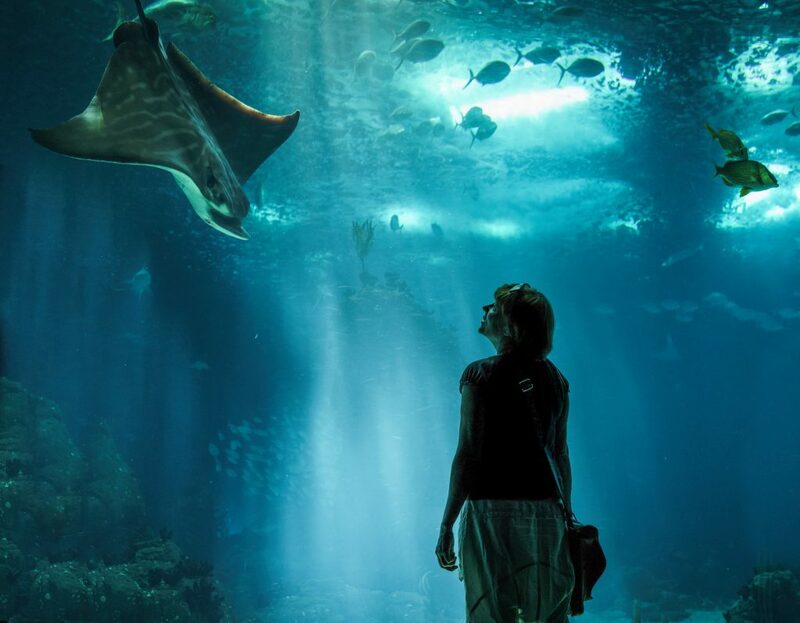 The oceanarium also contains marine species from the Antarctic (such as penguins), from the Indian Ocean (such as coral reefs), from the North Atlantic (like squid) or from the Temperate Pacific (such as catsharks). The Océanorio de Lisboa is open daily, from 10am to 7pm, and until 8pm during the summer. The entrance cost is 18€, but 12€ for children (from 4 years old to 12 years old) and for people older than 65 years old. The entrance is free for children under 3 years old. 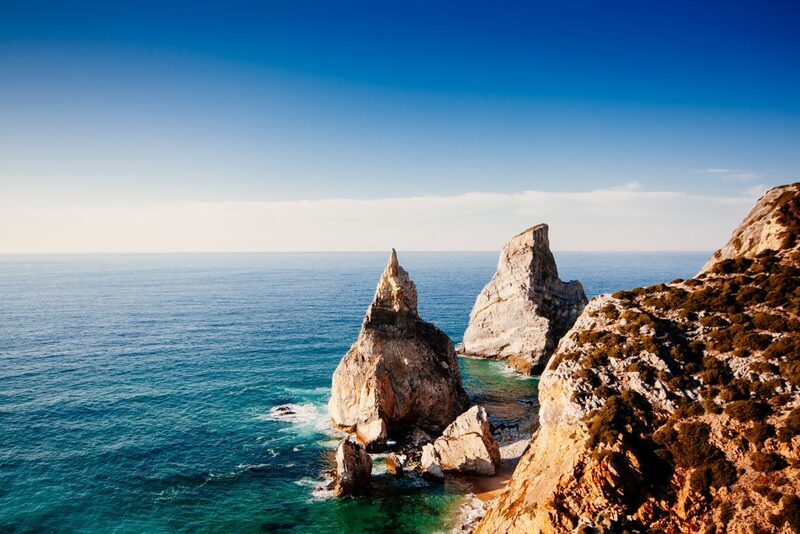 Located 30km from the west of Lisbon, Cascais is a famous seaside resort, very popular among the tourists. Between cool winds and delicate sea breeze, Cascais offers a beautiful fine sandy beach, as well as an atypical fishing port. The site of Cascais was born under antiquity. Nowadays, the exceptional environment of Cascais attracted numerous painters and writers looking for inspiration. You can also practice water activities such as surfing or sailing. The Pena Park and Palace of Sintra are very famous for their Romanticism architectural style. Located in the heart of a 200-hectare park, the Palace of Sintra possesses bright orange, red and yellow colours. After buying the ruins of a Hieronymite monastery in 1839, Ferdinand de Saxe-Cobourg-Gotha, King consort, ordered the building of his palace to Baron Ludwig von Eschwege. The baron combined architectural styles (Baroque, Renaissance, Gothic, Manueline) in order to offer an exuberant and colourful building. The construction ended in 1885, same year of the King’s death. The palace was owned by the state in 1910, after the proclamation of the Portuguese Republic. The Sintra Park is composed of rares and precious trees and numerous fountains and lakes. Close to the exit, we are able to walk around the “Vale de los Lagos” and discover its breathtaking landscapes. 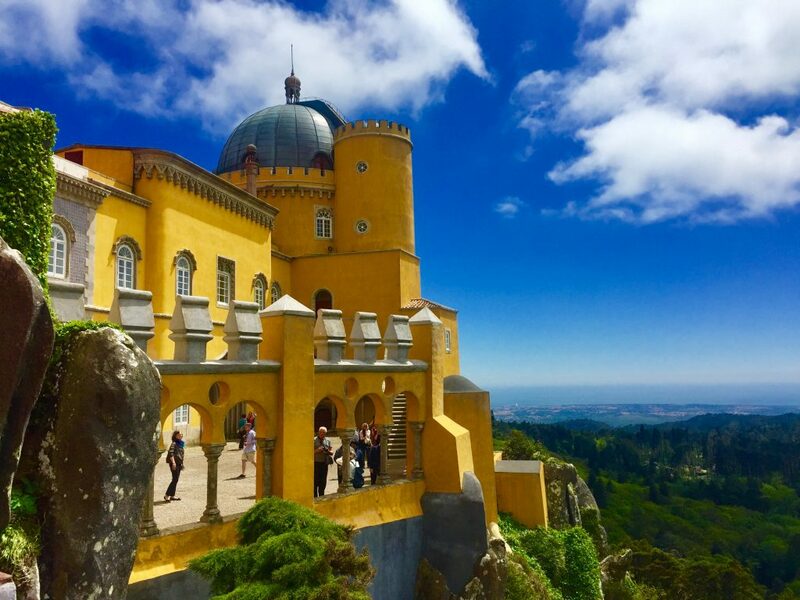 The Sintra national palace and its park are open daily all year long, from 9.30am to 7pm, but until 6pm during the winter season. The entrance cost is 10€, but 8.50€ for people from 6 to 17 years old and people older than 65 years old. 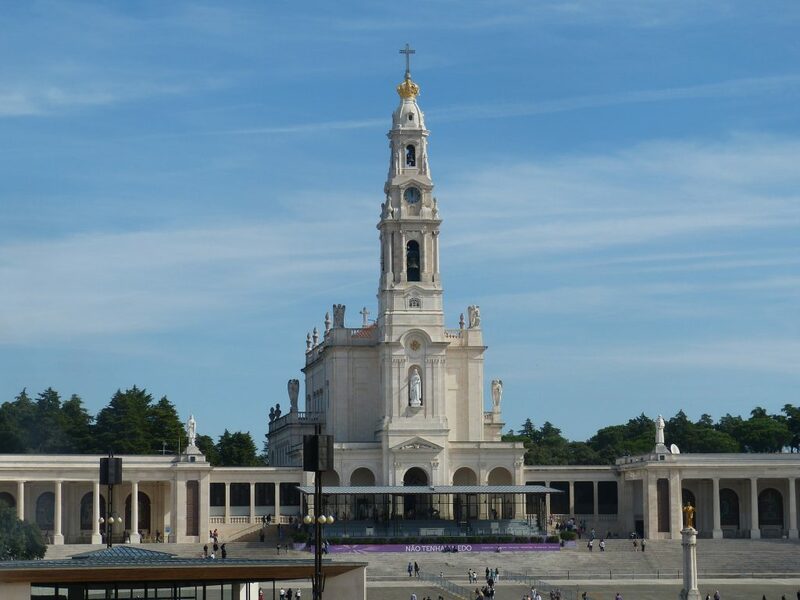 The sanctuary of Fatima is very popular among tourists. Fatima is considered a city of peace, since the first appearance of Our Lady of Fatima in 1917, to three shepherds, Francisco, Jacinta and Lucia, in la Cova da Iria, where is now located the Chapel of the Apparitions. The city of Batalha is famous for its construction of the monastery of Santa Maria da Vitoria, in 1386. The latter is the result of the Battle of Aljubarrota, between the Portuguese army commanded by D. João I of Castile, Master of Aviz and Nuno Alvares Pereira, against the Castilian army led by D. João I of Castile. The combat took place in the São Jorge countryside. In order to thank the Virgin Mary for the victory over the Castilians, D. João demanded the construction of the monastery of « Santa Maria da Vitoria ». The city of Alcobaça is born during the Roman period. The city of Nazaré is a fishing village, where you can enjoy the worship around Our Lady of Nazareth. 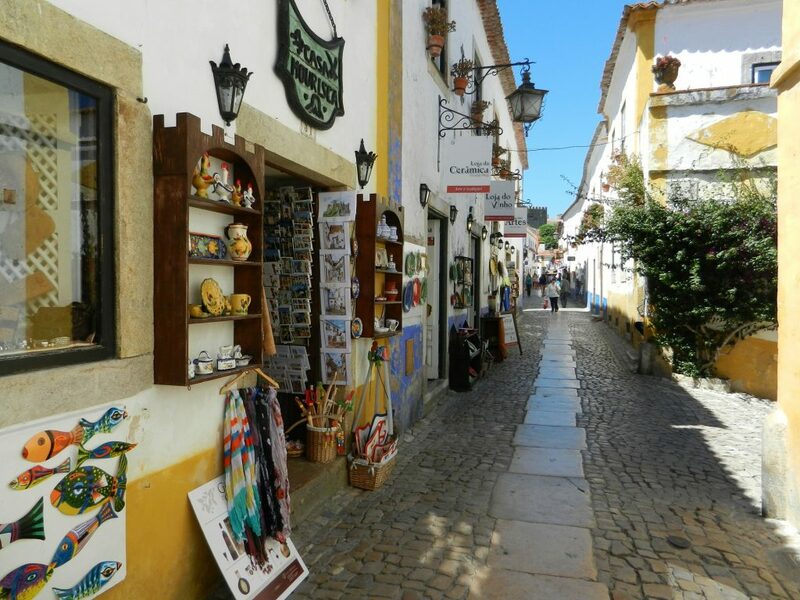 The Obidos Castle is located on a small hill at an altitude of 79 meters, combining harmoniously elements of Romanesque, Baroque, Gothic, Manueline styles. 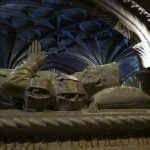 Thanks to this tour, you will dive immediately into the heart of medieval villages and Gothic churches. The Basílica da Estrela (The Estrala Basicila in English) is located in the Lapa district and was inaugurated in 1842 and in 1852 for its garden. The Jardim di Estrela, originally named « Jardim Guerra Junqueiro » is a very romantic place with small lakes and ducks, a bandstand and children’s playgrounds. With its 4.6 hectares, the Estrala Garden has an English style with a cosy atmosphere. On summer weekends, the garden hosts a Jazz festival. 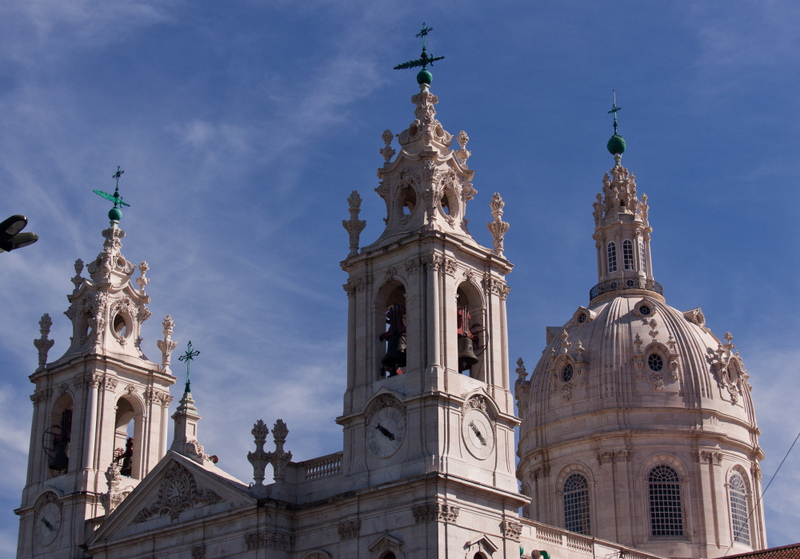 The Basílica da Estrela is the first basilica in the world to be dedicated to the Sacred Heart. Commissioned by Queen Maria I of Portugal, it symbolises the promise fulfilled for giving birth to a son, Joseph of Portugal, who unfortunately died in 1788, before the end of the construction of the basilica. 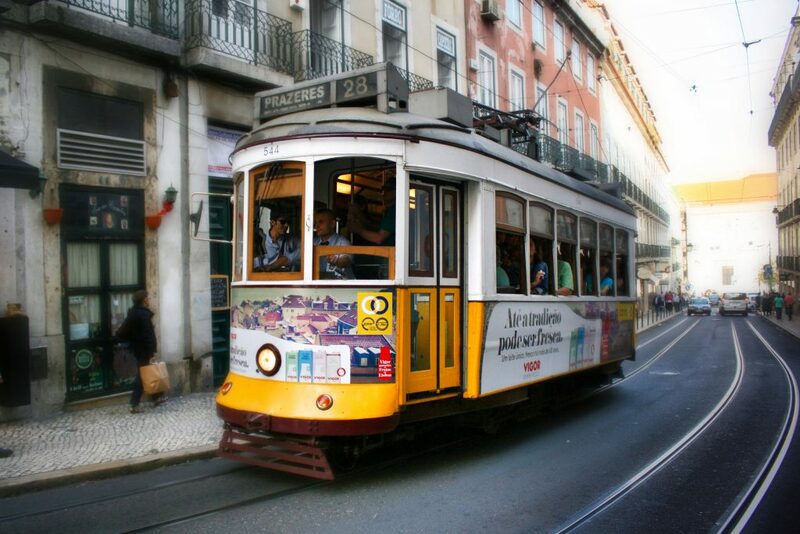 Tram 28 is a mythical element of the heart of Lisbon city. 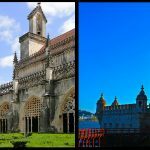 It departs from Martim Moniz to reach Campo Ourique, while passing through the most popular areas of Graca, Baïxa, Alfama, or Estrela. This journey on Tram 28 is the best way to visit Lisboa. On board, we pass among the most picturesque and atypical places of the city, offering breathtaking views. The beginning of the Tram 28 goes back to 1930 and it counts now 35 stops. The departure is at “Martim Moniz Square”, in name of the Knight who participated to the reconquest of Lisbon over the Moors in the 12th century.